Flying on cheap flights with Sunwing Airlines doesn't mean giving up quality service. This award winning airline offers complimentary snacks and non-alcoholic beverages. They also include a choice of hot meal, including a glass of wine, on trips outside of the United States and Canada. A pre-flight glass of champagne is included on international flights, USA not included. Hot towels and mint chocolates are provided as well. This type of service is usually only found, at several times the price, in first class cabins nowadays. It looks back to the sixties, when people put on a suit and tie to fly. The airplanes have overhead screens showing movies with no charge for headsets. Sunwing flies to a variety of destinations in North and Central America, the Caribbean, and Europe. They provide flights separately and as part of a variety of vacation packages. The airline was started in 2005. It is a subsidiary of the Sunwing Travel Group. The group also owns Sunwing Vacations as well as other travel tour companies. Toronto (YYZ) and Montreal (YUL) are the two major hub airports for the airline. It also has operations in Vancouver (YVR), Calgary (YYC), and Quebec City (YQB). Round trip flights are also available from the United States and their other destinations to Canada and back. They fly Boeing 737 airplanes with a capacity of 189 passengers. Two Boeing 767s are on order. They carry 296 people and are to be used primarily for flights to Europe. The airline has been named 'Airline of the Year' by Quebec travel agents for four years running, including 2010. This is based on voting in the daily e-newsletter Express Voyage which is subscribed to by over 10,000 travel professionals. The travel group has also been named one of Canada's '100 Fastest Growing Companies' by Profit magazine for the years 2006-2008. It was listed at number 108 for 2005 and number 125 for 2009. It has posted this growth and earned these awards in both good times and bad. Management seems to have a handle on how to grow fast, but not too fast. The company offers flights throughout Canada to well over a dozen cities. Some of these flights are in summer only. Travel is available to the United States, including Las Vegas (LAS) and several cities in Florida at this point in time. Flights are also offered to Acapulco (ACA), Cancun (CUN), Puerto Vallarta (PVR), among several Mexican destinations. Other Latin American destinations include Costa Rica (SJO) and Panama (PTY). 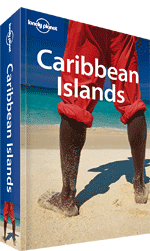 Flights to the Caribbean cover Barbados (BGI), Cuba, Jamaica (MBJ), the Dominican Republic (SDQ), and more. Because of all of these exotic spots on the list, it is no wonder the company is prospering, even in tougher economic times. The new venture is the European expansion. In 2010 Sunwing signed a sharing deal with another airline to provide a Montreal (YMQ) to Paris (PAR), France flight six days a week. The deal also includes less frequent flights from Quebec City (YQB) to Paris (CDG) and Halifax (YHZ) to Paris. A deal also was signed with another carrier to fly the Toronto (YTO) to Amsterdam (AMS) route twice a week. Flights to Rome (ROM), Italy, Lisbon, Portugal (LIS), and Dublin, Ireland (DUB)are also available along with a few other destinations. Many of these are scheduled more frequently in the summer or only during that season. Frequency will be increased as demand dictates. A deal has also been signed with MSC Cruises allowing passengers to fly to Rome (FCO) or Amsterdam (AMS) and then connect to a 7-day cruise. The amenities on the flights to Europe, the Caribbean, and Latin America begin with pre-flight complimentary champagne. They don't stop there. Non-alcoholic beverages and snacks are included as well as a hot meal with wine. Hot towel service is offered and mint chocolates before landing. Also, unlike other airlines, relax and enjoy a movie without having to pay for headsets. This is the first class experience, but on the entire plane. First class flying is generally reserved for the the wealthy and business travelers with massive amounts of miles to upgrade with. Flying this way would normally cost in the thousands of dollars, but not on Sunwing. Sunwing offers vacation packages that go to many exotic locales. It is possible to book a reasonably priced holiday to an all inclusive resort in Mexico, Latin America, or the Caribbean. These packages are some of the best deals going. They allow the traveller to save by not having to worry about paying for meals and drinks, including alcohol. Some activities like snorkeling, paddle boats, kayaks, and kid's clubs are also generally part of the packages. No additional fees for checked baggage, within weight limitations, is also a plus. Purchasing a vacation package on Sunwing, means the party starts as soon as the plane is boarded. Sunwing offers access to top quality experiences at many fine locations around the globe. They offer spa trips, golf vacations, wedding and honeymoon experiences, and trips to amusement park resorts. Their history so far indicates that they will continue to grow and offer the best possible travel to budget conscious tourists. Cheap flights with Sunwing Airlines do not mean giving up anything. FlyForLess.ca is an affiliate of FlightNetwork, where hundreds of thousands of travellers like you have been saving on cheap Sunwing Airlines flights since 1998.